Brace yourselves. This is happening. Ah yes, and so we arrive here, at the PT Cruiser. A car universally mocked for being terrible. Though actually, that’s not the truth. Much like the kid at school with the big hair and that one shoe that needed a two inch lift, the PT Cruiser is mocked because it’s different. That’s all it boils down to. We bully the PT Cruiser, and that’s not cricket. As a car, the PT Cruiser isn’t terrible. Okay, it’s not dynamic or revolutionary either, but it is by no stretch of the imagination a bad car. In fact, it’s the opposite. Its unusual shape – think of it as a big car rather than the MPV so many misinformed folk think of it as – lends itself to being immensely practical. But more than that, the PT Cruiser has something a lot of cars lack. It has potential. It’s safe to say the PT Cruiser is more American than mixing guns and the school system. This is evident in its design, which to the uneducated looks ungainly and out of proportion. The reality is that cars used to, to a degree, look like that. As you can see from the two pictures above, in fact. The top car is a 1937 Plymouth. The bottom car is, well, you know that. But stacked atop each other, you can see what the designers were shooting for. They simply wanted an American machine that harked back to time where prohibition had come to a close, when people wore hats a lot and when guns were called Tommy. 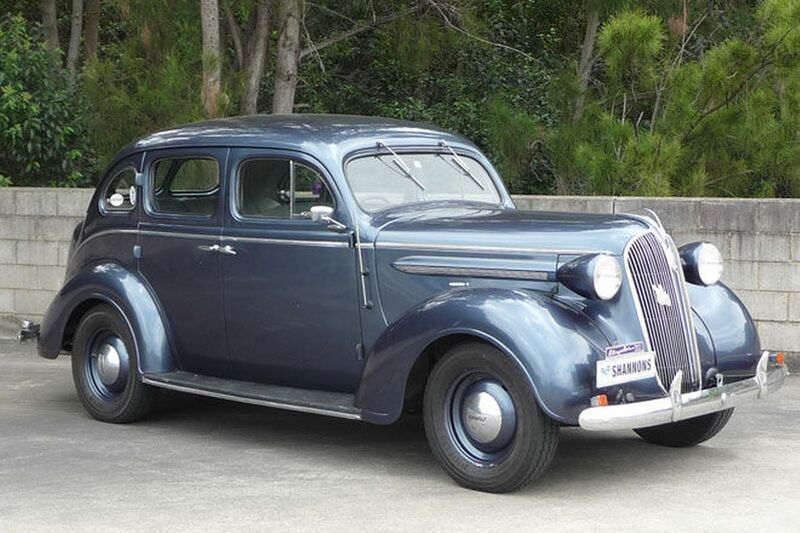 Before you scoff at the old car being a different brand, you should probably know that the PT Cruiser was originally pinned to be a Plymouth. PT stands for Plymouth Truck. A fun fact for you, there. Though the truck thing doesn’t serve to help our argument. But whatever. On the road, the PT Cruiser isn’t going to win any hearts. 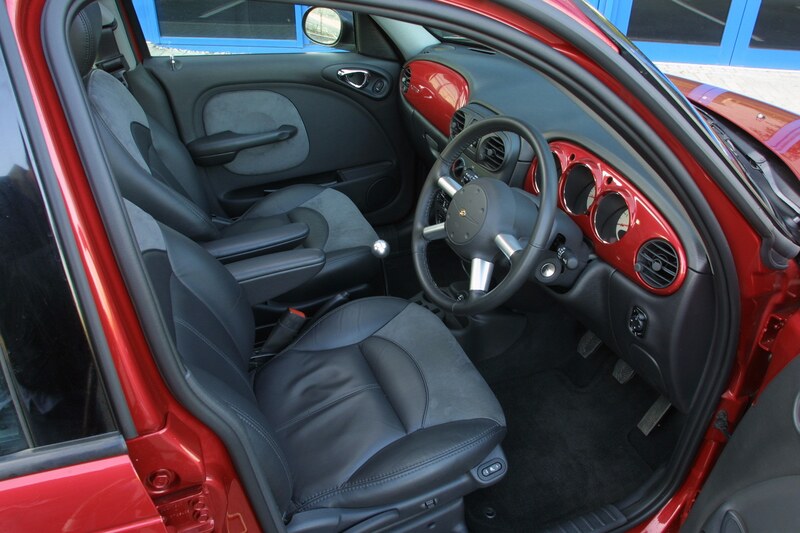 There’s too much body-roll for starters, which is exacerbated by the high seating position. Then there’s the steering. The wheel itself, a funky sour-spoke item, feels nice in hand, but alas, the relationship between driver and road is vague at best. It goes where you point it, but in a typically American car way it doesn’t tell you much more. The brakes are also a little soft, but again, they bring the big old bugger to a halt. That’s the main thing. This is a car for people who just want to get in and drive with the express purpose of getting somewhere. 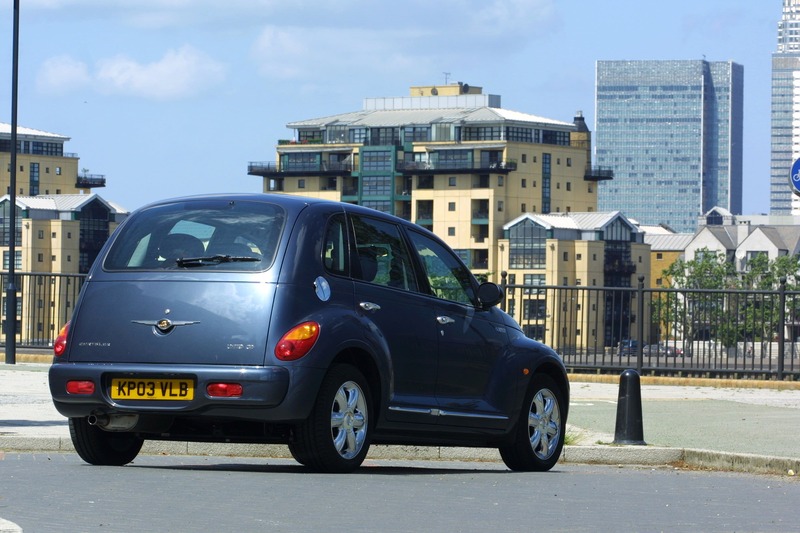 If you’e looking for feedback and driver involvement, the PT Cruiser isn’t for you. This is a tool to get you places, but without any thrills on the journey itself. Inside, it’s a pleasant enough place to be at first glance. 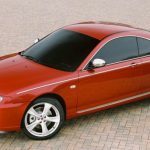 Closer inspection reveals the cheap plastics and dubious finishes, followed by the startling realisation that on pre-2006 models it seems a designer sneezed all the controls into position – they make no sense. But whatever. It’s spacious both front and back, the driver’s seating position is seemingly infinitely adjustable and apart from the intrusion of the C-pillars, visibility is good. 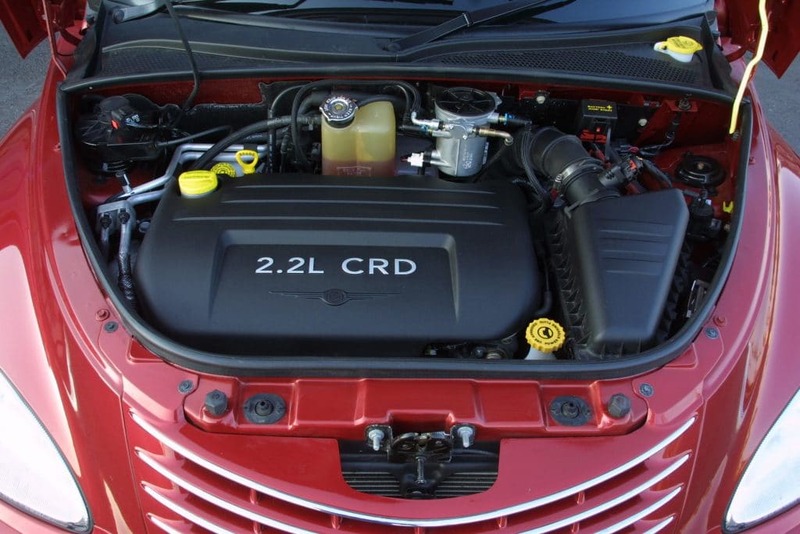 Engine wise, the PT Cruiser was released with just the one; a 2.0 petrol with 140bhp. 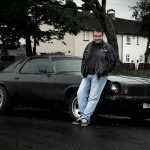 You got an average fuel consumption of 33mpg and if you’d taken leave of your senses, you could wind it up to 113mph. But don’t. You’ll die. In 2002 a 2.2 diesel was added, but it was a bit wet. 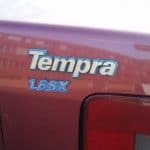 Instead, plump for either the post-2004 2.4 petrol or the post-2006 2.2 diesel. Both were slightly more refined, though not a lot faster. 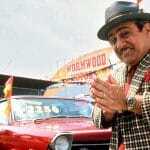 So it’s not fast, it’s not that brilliant to drive, it’s not exactly economical, yet still we’re suggesting you buy one. The big question spread across your pretty faces right now is without a doubt, why? How great does that look? And it’s not the only one. There a build threads out there full of inspiration. Companies, too, exist to aid you on your journey. Google images is awash with PT Cruisers that have been done ‘right’, and it makes you look at them in another light. 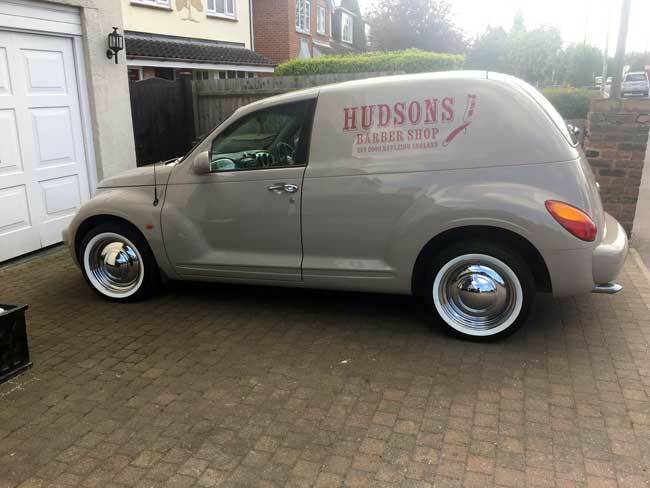 If you want something fun, something special, and something unique, a PT Cruiser could be the perfect place to start. As we said, we think everything has potential. The PT Cruiser is no exception. Unlike the Chrysler Crossfire, which is a big bag of crap.